I can be reached at greenbackd [at] gmail [dot] com or telephone on (646) 535 8629. Connect with me on Twitter, Facebook, or LinkedIn, where we’re all Friends. Buy my book The Acquirer’s Multiple: How the Billionaire Contrarians of Deep Value Beat the Market from on Kindle, paperback, and Audible. Here’s your book for the fall if you’re on global Wall Street. Tobias Carlisle has hit a home run deep over left field. It’s an incredibly smart, dense, 213 pages on how to not lose money in the market. It’s your Autumn smart read. –Tom Keene, Bloomberg’s Editor-At-Large, Bloomberg Surveillance, September 9, 2014. Click here if you’d like to read more on The Acquirer’s Multiple, or connect with me on Twitter, LinkedIn or Facebook. Check out the best deep value stocks in the largest 1000 names for free on the deep value stock screener at The Acquirer’s Multiple®. I can also be contacted by completing the form below. My name is Noah Greenberg, and I am currently a senior at the University of California, Santa Barbara; graduating this spring. I’ve been working at a local startup where I’ve had the chance to build some amazing investment research tools that help research and compare Private Equity Firms, Investment Banks, and VC Firms among other things. The tools allow people to search through firms by industry focus, average investment size, and much more. I noticed you had some great Investment Resources featured on your site, and was wondering if you’d mind taking a look at the tools. Let me know and I can send them over. Would you consider doing a post mortem of Seahawk? I think there are some instructive lessons to be learned. I found your site while searching for a source of “tangible book value per share” for the S&P constituents. Even better would be what I really want – book value less goodwill (per share). I have looked at all the screening sites I know of without success. Any links would be appreciated. Thanks. What do the value investors here think of NOKIA , NOK ? Forbes Medi-Tech (FMTI $0.51) is an interesting small, liquidation offering a 10-16% return over the next 2-3 months. The company has disposed of all operating businesses, has collected basically all the cash and is merely winding up various subsidiaries and doing some final regulatory filings. What makes this really interesting for US based investors is that the FMTI is a Canadian company. When the main asset was sold last summer, the company estimated distributions of CAD 50-58 cents. That was last summer when the Canadian dollar was worth 0.94 USD. Today it’s worth $1.03, so the distribution range in USD is actually $0.52-$0.60 cents. According to the trustee that’s running the liquidation, the process is almost complete and distributions will be toward the top of the range. So simple math – pay 51c today to get 57 to 60 in a couple of months. New LDIS update for those who didn’t listen to the call today. They said they plan on having $3.0M in net cash, they filed for a $4.5M tax refund, and plan on selling their assets (mostly EPiC) for up to $1.5M. With 30.554M shares outstanding that gives a high end of $.295/share. If you assume they don’t get the full amount of the refund (only get $4M) and sell their assets for only $.5M, then the distribution should be $.245/share. I think it’ll probably be somewhere in between. Full Disclosure: We have a holding in LDIS. This is neither a recommendation to buy or sell any securities. All information provided believed to be reliable and presented for information purposes only. Do your own research before investing in any security. Could you please provide more detail on what was said on the call? I could not find the transcript. Specifically when do they expect to hear from the government on the tax refund? They mentioned on the last call that they should have received it by Q1 2011 at the latest. Did they give any indication that there are interested parties in purchasing EPIC? Any idea when the last dividend will come? They mentioned that according to guidance from their tax advisors, they had expected to already have the refund (6 months from when they filed for it). The government could take up to 6 more months to give them the refund, but it seems that it will probably come sooner (assuming their tax advisors are right). There are 10 parties interested in EPIC. They plan on having only 1 more distribution and expect that to be given out when they get their tax refund (I interpret this to mean that they expect to close on the sale of their remaining assets soon). Any update on this? I’ve tried to reach them but their number is disconnected and emails aren’t returned. Do you know how to contact them? You have an email I can send their contact info to? Could you please send me the email address? My email address is as follows. I have learned a great deal here and would like to post an idea that follows closely with the theme of Greenbackd. The company is Tikcro Technologies (TIKRF). TIKRF has ~$0.88 in cash per share and another ~$0.95 in securities. Each investor should make his/her own valuation adjustments; however, the last TIKRF trade was at only $0.63. Assigning any value to the securities and adding in the cash should qualify this idea for further analysis. Also, an activist investor is involved – it is all summarized in the various 13D filings. Any change in views , news, juice ? FYI ASPN merging with private Dillco Fluid of Kansas. Issuing 14mm shares. No info released on Dillco till merger agreement approved by Dillco, (by 7/31) Aspen does not need shareholder approval. the company held a conference call yesterday. from the cash and on hand and the tax refund, total distributions should be $0.25. additional upside from the sale of Epic Technology IP, sounds like that should be at least $500k or 2c a share. thank you for the idea Shake&Bake. Thanks for the notice. Do you know where I can find a transcript or recording of the call? If not, could you provide more details? When is the next distribution expected and what is the amount that will be given out? Was the $500K epic valuation given by the firm? Are we going to see a press release relating to these issues soon? The call was recorded, so I would check the usual sources or perhaps the company will provide you a copy. Details are pretty simple. They currently have 10c a share in cash net of all future expenses and liabilities. They expect to receive a tax refund of 11c, either late this year or early next year. There is also 4c of other assets (receivables, some legacy business, various products, furniture, etc) that management has a very high degree of confidence. All that adds to 25c. On top, they are taking back the Epic Technology IP from the Korean buyer who did not pay. The IP relates to various display technologies. This area has been booming recently (all the smartphones, tables, iPad, etc) and there was a guy on the call who basically offered $500k on the spot for it. ($500k is 2 cents a share). Leadis will run an auction and sell the IP to the highest bidder. the company is aiming to wrap things up by end of November. we should get 25 cents for sure, with possibility of 27 or higher. at 21 cents on Friday, thats at least 20% return in 5 months. not so shabby. Gateway filed a preliminary proxy statement on Schedule 14A with the Securities and Exchange Commission (the “SEC”) on March 31, 2010 concerning the consent solicitation by Pevow and Gateway’s solicitation of revocations of any consents given to Pevow. The definitive proxy statement will be mailed to the stockholders of Gateway. STOCKHOLDERS OF GATEWAY ARE URGED TO READ THE PROXY STATEMENT AND OTHER RELEVANT MATERIALS WHEN THEY BECOME AVAILABLE BECAUSE THEY WILL CONTAIN IMPORTANT INFORMATION ABOUT GATEWAY, PEVOW’S CONSENT SOLICITATION AND GATEWAY’S CONSENT REVOCATION SOLICITATION. Stockholders may obtain a free copy of the proxy statement and any other relevant documents filed by Gateway with the SEC (when available) at the SEC’s Web site at http://www.sec.gov/. In addition, stockholders may obtain free copies of the documents filed with the SEC by Gateway by contacting The Altman Group, Inc., 1200 Wall Street West, 3rd Fl., Lyndhurst, NJ 07071, toll free number (877) 297-1743. Gateway and its directors and executive officers may be deemed to be participants in the solicitation of consent revocations from Gateway stockholders in respect of the Pevow consent solicitation. Information about the directors and executive officers of Gateway and their respective interests in Gateway by security holdings or otherwise is set forth in its proxy statement relating to the 2009 annual meeting of stockholders filed with the SEC on April 24, 2009 and its Annual Reports on Form 10-K previously filed with the SEC. Investors may obtain additional information regarding the interest of the participants by reading the preliminary proxy statement. Each of these documents is, or will be, available for free at the SEC’s Web site at http://www.sec.gov/ and from The Altman Group, Inc., 1200 Wall Street West, 3rd Fl., Lyndhurst, NJ 07071, toll free number (877) 297-1743. Gateway Energy Corporation owns and operates natural gas gathering, transportation and distribution systems in Texas, Texas state waters and in federal waters of the Gulf of Mexico off the Texas and Louisiana coasts. Gateway gathers offshore wellhead natural gas production and liquid hydrocarbons from producers, and then aggregates this production for processing and transportation to other pipelines. Gateway also transports gas through its onshore systems for non-affiliated shippers and through its affiliated distribution system and makes sales of natural gas to end users. HOUSTON, April 1 /PRNewswire-FirstCall/ — Gateway Energy Corporation (OTC Bulletin Board:GNRG.ob – News) (“Gateway”) today announced that its Special Committee, established to consider strategic alternatives to enhance shareholder value, has engaged as its independent financial advisor Growth Capital Partners, L.P. Strategic alternatives may include, but are not limited to, a sale of the corporation, merger or other business combination, a sale of a material portion of Gateway’s assets, or an acquisition, among other alternatives.Gateway does not intend to disclose developments with respect to the strategic review process until its Board of Directors has approved a definitive transaction or strategic option, unless otherwise determined by law. nat gas prices are rising, it may easily double, next earnings announcement and shareholders meeting are the catalysts. It seems that Mr Pevow may waive to its intention to buyout co. if management sells him the “waxahachie distribution system” in change of its stake in gateway, I’m assuming that this asset may be worth at least 3 millions $. Gateway Energy has acquired the Hickory Creek Gathering System from Hickory Creek Gathering and Range Texas Production for a cash purchase price of $3.9m. The Hickory Creek Gathering System is located in Denton County, Texas, in the core area of the Barnett Shale and currently services two significant producers. There are currently 15 producing wells connected to the system with throughput of approximately 11,000 MMBtu per day at a fixed gathering fee for each MMBtu transported. The producers have also identified up to 18 additional drilling locations within the dedicated leases for future development. The purchase price has been paid by the company utilizing a combination of available cash and the company’s existing line of credit. Based on projected 2010 production, the company expects the Hickory Creek Gathering System to increase the company’s revenue in 2010 by approximately $772,000, assuming no additional wells are placed on the system during 2010. Robert Panico, president and CEO of Gateway Energy, said: “This is an exciting opportunity for Gateway. This acquisition expands our geographical area of operations and it gives us a foothold in a very important producing basin, the Barnett Shale. Has anyone looked at Gateway Energy since the earlier posts ? Has anyone looked at PCC? 50-60% of NCAV, high dividend payment history, a little concerned about off balance sheet stuff though; if anyone can tell me what the little “off-balance sheet” section, with about 240mil in assets and 90mil in liabilities on it, that would be great. the company has about 190mil in loans funded,I think. I’m just a little concerned about the Off Balance sheet stuff. IFON .68 (OS 14.2 MILL) MAY BE INTERESTING KEY NUMERS ACCORDING TO RECENT 10K FOR DECEMBER 31 2009 : I’M JUST READING WELL THE 10K SO THIS SMALL ANALYSIS IS AN INTERIM STUDY AND MUST BE AMENDED, DO YOUR DUE DILIGENCE. IMHO THE CATALYST HERE IS THE RECENT LAW PASSED IN ARGENTINA THAT HIT HARD THE REVENUES OF CO., (RAISING BY 30% THE COST OF IMPORTED ELECTRONICS) WHICH ARE REPRESENTED FOR 90% BY ARGENTINA NET SALES OF ELECTRONIC PRODUCTS AND RELATED…CO. DOESN’T MANUFACTURE IN ARGENTINA, ESTABLISHING A FACILITY IN TIERRA DEL FUEGO (PATAGONIA ISN’T HIT BY THIS LEGISLATION) MAY BE EXPENSIVE OR IMPOSSIBLE. IF LIQUIDATED TODAY, CO. SHAREHOLDERS MAY BE ENTITLED TO RECEIVE ABOVE THE $ AT LEAST, ALTHOUGH A LIQUIDATION MAY TAKE SOME TIME BECAUSE OF HIGH LEVEL OF A/R AND THE PAYMENT OF 27 MILLIONS OF Loc AND OTHER OBLIGATIONS PAYMENTS. 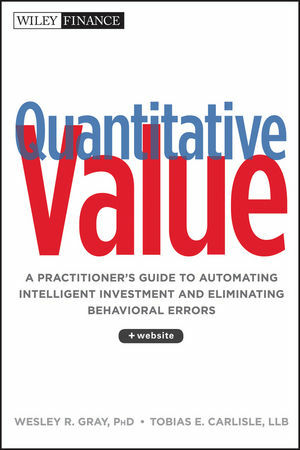 BOOK VALUE AT DECEMBER 31 2009 IS 24.7 MILLIONS $ OR 1.74 $ (2.55 X CURRENT PPS) VERSUS A DISCOUNTED GRAHAM NET VALUE OF 2.93 $. NOTE: VAST MAJORITY OF ACCOUNTS RECEIVABLES ARE FOREIGNER A/R AND MOSTLY ARE INSURED. THESE ASSETS SECURED THE CREDIT FACILITY WITH WELL FARGO. INFOSONICS CORP. (IFON) IS A PROVIDER AND DISTRIBUTOR OF WIRELESS HANDSETS AND ACCESSORIES IN SOUTH AMERICA (ARGENTINA ACCOUNTS FOR 90% OF NET SALES, SO CO. MUST DIVERSIFY IFS GEOGRAPHIC SALES MIX). CO. HAS AN AGREEMENT WITH SAMSUNG ELECTRONICS THROUGH 2010 FOR DISTRIBUTION OF A VARIETY OF ELECTRONIC DEVICES AND ACCESSORIES AND SERVICES. CO.
CO. MAIN WAREHOUSE, DISTRIBUTIONS AND LOGISTIC ACTIVITIES ARE LOCATED IN MIAMI, BUT CO. EXITED FROM US AND MEXICO MARKETS IN 2008 AND CREATED SUBSIDIARIES IN LATIN AMERICA. A recently passed Argentina tariff may substantially increase the cost at the point of sale for certain imported electronics, including the products we sell, and thus will have a material adverse impact on our sales in Argentina. “The loss or reduction in orders from principal customers or a reduction in prices we are able to charge these customers will have a negative impact upon our financial results. “We have been experiencing net losses and expect that net losses may continue for the near future. If we continue to operate at a loss, our business may not be financially viable. NCAV AT THE END OF 2009 WOULD BE (3.62-2.93) = $ .69 SO MARGIN OF SAFETY NOW IS 0.01 OR 1.5%, CONSIDER THAT STOCK TRADED BETWEEN 1 AND 2 $ UNTIL LAST WEEK. CO. ACHIEVED RECORD NET SALE OF 231 MILLIONS $, +8.4% OVER 2008 SALES AND + 7.8% OVER 2007 AND GROSS PROFIT OF 15.3 MILLIONS $, +53% AND +31% RESPECTIVELY OVER 2008 AND 2007; CO. REDUCED NET LOSS IN 2009 BY 8.9 MILLIONS $ OR 86% TO .11$ PER SHARE (2008 NET LOSS WAS 10.4 MILLIONS $ OR .70$ PER SHARE DUE TO OPERATING LOSSES). CO. IS REDUCING OS RETURNING STOCK TO TREASURY, REDUCING BY ROUGHLY 0.8 MILLION OUTSTANDING SHARES. MANUFACTURED OUTSIDE OF ARGENTINA, SO ITS SALES MAY BE HIT HARD BY NEW LAW. MARKET IS DISCOUNTING THE WORST SCENARIO, SO PPS MAY RISE QUICKLY IF NEW QUARTER RESULTS WILL SHOW NO OR LIGHT IMPACT FROM THIS LAW. PPS IS SO VOLATILE THAT HIT A FLOOR OF .10 IN 2008 BEFORE HARD REBOUND TO 3$!!! CO. PRIMARY GOAL IS TO REDUCE DSO (DAYS OF SALES OUTSTANDING) LOWERING THE ACCOUNTS RECEIVABLES AND NEED OF LINE OF CREDIT: THE DSO FOR 2008 WAS 56 VERSUS 61 IN 2007. THE WELL FARGO CREDIT LINE OF 45 MILLIONS $ WILL DUE IN APRIL 2010 AND IS USED TO ADVANCE MONEY TO CO. ACTIVITIES BEFORE ACCOUNT RECEIVABLES WILL BE CASH IN. LINE OF CREDIT IS NOW USED FOR 25.5 MILLIONS $, BEARING INTEREST OF 2.26% (LIBOR PLUS 2.00% OR PRIME RATE -.50%) OR 576K OF INTERESTS. THIS LINE OF CREDIT WILL BE LIKELY RENEWED BUT INTEREST RATE MAY CHANGE AND AFFECTS OPERATIONS. CEO J. RAM OWNS 30% OF THE COMPANY, OR 4.25 MILLIONS SHARES, SO HE WOULD BE INTERESTED IN MAXIMIZE THE VALUE OF HIS INVESTMENT, SO OTHER SHAREHOLDERS MAY BENEFIT. IMHO THE BEST SOLUTION WOULD BE LIQUIDATE THE CO., I THINK THAT SELLING INVENTORY AND PPE, COLLECTING ALL ACCOUNTS RECEIVABLES WOULD PAY OFF EXISTING ACCOUNTS PAYABLE, ACCRUED EXPENSES AND LINE OF CREDIT, COSTS AND EXPENSES FOR CLOSING OF FACILITIES, SEVERANCE PAYMENTS AND LIQUIDATION EXPENSES, SO SHAREHOLDERS MAY BE ENTITLED OF CASH PORTION, NOW 18.4 MILLIONS $ OR 1.30 $ PER SHARE, A POTENTIAL 100% FROM CURRENT PPS. net equity is 1.7 $per share, ncav is 1.27 $, buying at .58 represents a discount to ncav of 36%, os is only 14.2, but president ceo and founder owns 30% or more than 4 millions shares so float is less than 10 mill!!! I’ve gotten some good ideas from this site so I wanted to share one with you. It’s a very cheap net-net with some nice upside of 50-70%. The name of the company is National Patent Development (NPDV). The stock has been trading at $1.30-1.40 range and there are 17.6m shares for a market cap of $23m. The company has just sold its main business and now has $33.4m of cash. Additionally, they own Contingent Value Rights from Endo Pharma, which could bring in $5.2m by 2012. There is also 19.9% interest in MXL, a business they sold a couple of years ago and land in Connecticut that is on the books for $300k, but management says is worth more. The cash is going to be invested well – the largest shareholders own over 50% of the company and include Mario Gabelli and the legendary Michael Steinhardt. Steinhardt invested about a year ago and in February increased his stake from 6% to 9.8%. The company has a 2.2m share buyback authorization and the management has indicated they plan to buyback stock as long as the stock is trading below cash, but they would wait until the 10k came out (which it did yesterday). Bottom line — safe, cheap and nice upside. I can’t say that I’ve thoroughly analyzed this stock, but NPDV looks interesting. Its at 44% of NCAV, but the only thing I’ve seen so far that’s a downside is the fact that it hasn’t had constant earnings for the past ten years. Of the past 10 years, 7 have had earnings deficits. In the three that did have positive earnings, there was no real pattern whatsoever. It’s not really a downside anymore because the business was sold. The assets now consist of cash in the bank plus some upside from Contingent Value Rights, land in CT and 20% ownership of a former business. I took a look and came out a pass, but would appreciate thoughts. Cash balance at 12.31.09 was $23.006mm. Gross sales proceeds to the company – $10.465mm, however the buyer is asking for a -$3.4mm adjustment to the sales price, which would take the net proceeds down to $7mm, and this is before ‘transaction costs, taxes, and rent owed’. Compare this to $8.5-$9.5mm public guidance from the company and 7mm seems conservative. Net – Add it all up and I get $1.42/sh vs. $1.40 current price. Not enough cushion to chase. Pdunfy, you are off an a few points. dont know where you got 3.5m of cash burn. maybe you are referring to the business that was sold, but the currently operations are not losing money since they consists of cash and investments. liabilities – those went with the sold business. they still show up on the 10k because the sale didnt close by year end. the buyer is asking for an adjustment, but mgnt has offered them 10%. nothing wrong with asking, but doesnt mean you gonna get it. very unlikely they will get even close to what they ask for. land is worth more than cost/book, the SEC docs disclose that and mgmt confirms it. this land was bought long time ago and is worth more than cost, not multi millions, but more than $350k. Steinhardt increased his ownership by 50% in feb when the stock was trading at 1.40-1.45. i dont think he was buying if he though it was worth 1.42 as you came up this. sharpen your pensil buddy. Thanks for your thoughts dave. The 3.5mm cash burn was the SG&A expense from 2008 ($3mm in 2009), and I agree that it is likely overstated. However, as the company states in the K, as they search for ways to deploy the cash, they will continue to incur costs for accountants, attorneys, in addition to any transaction related expenses related to an eventual acquisition. My rationale for using the $3.5mm was that it was the most they historically spent as a larger company and would likely encompass overhead and salaries from 4 employees (3 ft) + lawyers/bankers fees to find new deals + transaction expenses – it could certainly come in lower, but wanted to maintain a margin of safety. Liabilities – The only liabilities I included in my analysis were the ones that were not qualified as ‘related to assets held for sale’ (i.e. would remain after the sale). The company was kind enough to separate the held for sale assets & liabilities and the ones that would remain with the business, which is what I used. Seller Adjustment – Agree that there is a bid-ask spread to the adjustment. However using the worst outcome for the company (full 10% adjustment) puts the proceeds slightly below the low end of their public guidance ($7mm vs. $8.5-9.5mm). Again, by using the lower number it is maintaining a MOS. Land – Agree completely – but at this point we have no data to support this other than their assertion that this is the case. I even attempted to source tax records to see what the taxable appraised value, but wasn’t able to track anything down. So until there is another way to support this assertion, cost feels like the most conservative way to proceed. Pass the ‘pensil’ to you now. – Liability = 2 MM – this is NPDV’s liability even after the sale of Five Star (liab. of Five Star is under liab. of discontinued operation). – Cash burn per year = 2-3MM – expenses for searching for a company to acquire. I come up with 27 MM or $1.53 per share. – not being able to find a company to acquire before mid Jan 2011. They deal in Insurance and annuities. Ticker: LIVE. Only recently became a net net after sudden drop in price. They have major loses and must act quickly to maintain shareholder value. Is setting a limit order at the halfway point between the bid and ask price a good strategy for buying/selling these relatively illiquid shares? What duration do you use, Day or GTC? I’d like to get started with a NCAV strategy, but how to deal with the spreads has been bothering me. I learned through hard experience to always set a limit order. My paltry purchase of a few thousand shares of PGLA once drove the price up by 10% when I placed it at market. I don’t have much of a formula, though I usually set my limit at the last ask price (on the thinking that it obviously still looks attractive at that price and stands a good chance of getting filled). I also do mine as GTC for 6 months so I do not have to revisit it. Has anyone taken a look at (CONN) Conn’s? They seem to be a deep value investment trading at an incredibly low p/b. There are recent covenant concerns, though the company seems to have plenty of liquidity. My confusion relates to the Special Purpose Entity, and how it relates to a fair value of the equity. The stock has fallen all of a cliff. An investment bank owns have of the company. Any discussion would be appreciated. I haven’t studied CONN as deeply as you have, but they did jump out at me recently when I was running some stock screens. They are currently selling below their Net Current Asset Value– and their top line (revenue) actually increased by about 8% this year. I’ve taken a look at Conn’s and at first glance, they seem like a bargain. However, a closer inspection reveals that they are actually part retailer and part bank. Their banking activities are where the problem is. Conn’s has a special purpose entity that they sell their accounts receivable to, who in turn packages them as asset-backed securities and sells them. This was all fine and dandy when tons of easy money was floating around, but after the financial crisis, the SPE couldn’t provide Conn’s with needed liquidity. The SPE has reached their borrowing limits and are in substantial danger of violating covenants relating to $200m of these asset-backed securities. At first glance, one would think that Conn’s is isolated from the risks of the SPE…after all, it is located in a seperate “box.” However, because the SPE was no longer to purchase Conn’s accounts receivable and re-package and sell them, Conn’s has been forced to keep these accounts receivable on their own books and collect them on their own. As a result, they have no liquidity. They were forced to take out a $200m line of credit from a bank. The problem is that the terms of the line of credit say that if the SPE violates one of its covenants, this will result in a default for Conn’s and the $200m line of credit will be called in. This could throw Conn’s into bankruptcy as they don’t have sufficient liquidity in order to pay back this loan immediately. But man, this stock seems cheap. I wish I could know the specific terms of the covenants b/t the SPE and their bondholders to gauge what kind of margin of safety, if any, exists. So, I would have to pass because I can’t quantify the risks. Does anyone know an online resource where I could find debt covenants? what happened to the QUOT post? It was removed at the request of the author. VXGN shareholders rejected OXGN merger, back to square one…. It is a shame this site is going in a direction that is different from what has attracted its loyal user base. I will continue to visit it, though i will now have to scroll through the articles to get to the meat of individual corporate security analysis. I miss the old version. They have 7.26 MM shares outstanding. The values use those reported as of 9/30/09, but account for the distribution. Bailey has told me that the other assets are stock in other public companies but cannot explain why they are not included under the marketable securities blanket. Because of this uncertainty and my distrust of his answer, I have applied an 80% factor for both categories, which I believe is conservative. Moreover, the Board has extended his employment contract only until March 31, 2010. Assuming that he only extended it 3 months because he believes he can sign a deal by then, let us use that as the timeframe for the transaction. That is also the time frame used to calculate the cash burn which includes Bailey’s salary, 401k matching contributions, monthly expense allowance, director compensation, rent, and fees associated with being public. Note that the burn until March 31, 2010 is for 6 months because the balance sheet was from 9/30/2009. This results in a liquidating value of $.49/share. As seen in the research presented on Greenbackd, reverse mergers can be very lucrative for the shareholders of the shell company. But using a conservative approach, ASPN should at the very least be able to realize the value on their balance sheet. In that case, if they realize $.49/share in the transaction, that is a 63% gain from today’s closing price of $.30/share. If it takes 3 months to reach that price, the internal rate of return is 610%. According to the research presented at Greenbackd, an average shell sells for $1,000,000 (Feldman, 2006), which adds an additional $.14/share ($.63/share total), making the total return 109% and internal rate of return 1814%. In the event that ASPN cannot find an appropriate reverse merger partner, a good case scenario would be liquidation when Bailey’s contract expires. In this case, we can assume, insurance and professional fees associated with liquidation would be around $400,000. We also should assume that the stock price will not increase enough to reflect its full liquidation value, but will trade at a slight discount. This is primarily due to the fact that firms typically retain a small amount of money for a long period of time before making a final distribution. I will account for this by assuming ASPN will trade 5% below its calculated liquidation value. In that case, the value to shareholders would be $.41/share, giving a 38% return and an internal rate of return of 259%. In the bad case, we can assume that he extends his employment contract for another 6 months while he continues to unsuccessfully search for a reverse merger partner. Here, the cash burn doubles and shareholders receive $.40/share, giving a total return of 33% and an internal rate of return of 47% (the IRR drops substantially because the time frame increases from 3 months to 9 months). The potential outcomes for ASPN are numerous and are ranged between a total return of 33% to 109% and an IRR of 47% to 1814%. In addition, ASPN has 3 activists in the stock: Tymothi Tombar, Royal Energy, and TriPower. Their involvement will help ensure the firm acts in the best interest of shareholders. Full Disclosure: We have a holding in ASPN. This is neither a recommendation to buy or sell any securities. All information provided believed to be reliable and presented for information purposes only. Do your own research before investing in any security. AA: top notch analysis on ASPN. I assume reverse merger partner would be to save costs on going public since ASPN only has 264k in NOLs which prob wouldn’t be worth it even if a partner could pass 50% change in ownership etc. What about the risk of continued cash burn? What if the 20% shareholder / CEO wants to take out more cash as salary/compensation and delay any action that is in the best interest of other shareholders? Stv, Bailey has a fiduciary obligation to all shareholders and cannot justify a salary increase now that his duties have actually decreased. The 3 activists in the stock will make sure that this is the case. With that said, it is possibly that it could happen. However, it would not change the story much. If Bailey decided to double his salary (something I doubt he would try), it would only change the all values by $.01/share. On the other hand, this would probably make the activists more aggressive which could be an overall positive even with the additional cash burn. Also, JM, keep in mind that ASPN offers a source (albeit relatively small) of capital for a private firm in addition to savings related to the costs and time of going public through an IPO. AA: Also keep in mind “eventual liquidation” on ASPN might not happen, vote to dissolve didn’t receive enough votes recently though a majority voted in favor of it. JM, that is definitely a risk, but let’s look at it in context. Bailey’s salary is extremely small when compared to his ownership in the firm. As a result his incentives are aligned with shareholders because he wants to maximize his own wealth which is tied to the stock price. So why did he oppose liquidation? When speaking with Bailey, he mentioned to me that he believes there are alternatives to liquidation (ie. reverse merger), that would be more lucrative for shareholders (and therefore himself) and that if nothing ended up working, liquidation could always be pursued at a later date. Also, the 3 activists, (one who has in the past threatened to increase his stake to force certain actions) will not sit still for too long. Great site, just discovered it recently. I just published a review of your recent articles on my site. If you get a chance to consider for me for your blogroll that would be appreciated. Hey folks here is one that looks good China Crescent Enterprises (cctr.ob). Improving revenue and margins. First 3 quaters 30 million gross, 1.8 million net. With a market cap of 3.2 million. They are hosting a webcast tommarrow to talk about an upcoming acquisition. I don’t think this one is for us. Thank you. Hey, just wanted to let you know again how great I think this blog is. I’ve had Greenbackd on my blogroll for a very long time and I was wondering if you could check out my blog and let me know if you think its worth adding to your blogroll. Thanks! It has been added to the Blog Roll. Great site. SCMR SYCAMORE NETOWRKS HAS $1 STOCK DIVIDEND PAY ON 12/15/09 FOR STOCKHOLDERS OF 11/30/09 RECORD DATE. It is a Korean online video game producer trading below liquidation value that has positive earnings/cash flow. The stock trades at $1.43 and has a liquidation value of around $1.60, and can probably earn around $.20/sh going forward. A big catalyst for the stock would be if they successfully release the sequel to their major game (Ragnarok -a World of Warcraft type game) next year. Management doesn’t seem to be the greatest, delaying the sequel release several times now as well as a running into disagreements (litigation) with Fox over the development of a new game based on the Ice Age animated movies, but they have done a good job cutting costs over the last year to return to profitability. Hey Pete – I like GRVY as well; however my estimate of liquidation value is quite higher than 1.60. Could you share your assumptions? Thanks! Yes i think you’re right Luis, it is higher. Adding up cash at 100%, STI at 95% and receivables at 75%, minus total liabilities, the liquidation value is around $1.70. With the company trading at $1.35, currently generating positive earnings, and with the potential to increase its earnings if it can actually launch one of its new games, I think this is one of the most undervalued investments around right now. ASPN went ex-div yesterday, but is still selling for >$.80. So much for rational markets. Perhaps the shell company is worth 2X net cash? If there is $3 million left, and the market cap is $6 million it seems like this could be a good short. My bet is that ASPN gets used for a reverse merger, so even if the fundamentals aren’t there, there could still be some downside. Yeah… seems bizarre. Not only is it trading higher but it is happening on very heavy volume. If the volume were tiny, one can ascribe it to mistaken newbie purchases or force liquidation or something, but such high volume? Is there some option value to the remaining firm? Would the company be worth a lot more if they buy some natural resource assets (they only have around $3m left though)? RHIE is an interesting company that is currently selling for about 1/10th of stated book. Also of interest is that there are only a handful of large shareholders in the company making up the vast majority of holders. Baupost owned about 40% of the shares as of the last 13F, and purchased at significantly higher prices earlier in the year. It looks like RHIE is likely to go bankrupt. I don’t see a lot of value there. It is a cheap call option (that’s how i view it). If you look at all the movies and tv shows that is owns the full rights too (and the large number of productions due to be released this quarter), you know that they could be worth over $1 Billion. The company’s market cap is now only a measly $10 million. The kicker here is the debt of course and whether it will be repaid. The company had a large non-cash amortization write down last year, so they made a little bit of net income when adjusting for this non-cash event for 2008. They could easily sell off some of the title rights to several movies/shows to maintain liquidity over the short term. No major maturities come due until 2013. The company’s library is undergoing an annual appraisal review that is likely to be revealed soon, and will definitely take a hit downward. The question is how much of a hit it will take on the appraisal. The reason this is important is that the First Lien holders have a Tangible Net Worth covenant that may be tripped if the valuation were to come out extremely low for the library. However the borrowing base under the first lien is easily covered by the library value (even in this dismal economy). The reason for the share price reversal recently was the possibility of this covenant being tripped as well as rapidly diminished revenue during the last quarter. While it was lower, mgmt stated during the call that some of the Q3 results were due to timing issues that will be positively reflected in the 4th quarter revenue numbers. Also, the vast majority of the company’s revenues come during the 4th Quarter of every year. The value proposition here is the selling of library titles (even at discounted prices) to maintain short term liquidity until the company becomes more cash flow positive to aggressively pay down debt. Their maturity schedule for there debt is set up nicely for equity holders with the big maturity (the revolver)not coming due until 2013. The revolver makes up $326 mil of the debt listed above and it doesn’t come due until 2013. The First Lien Term Loan amortizes in three installments of 10%, 20% and 70% on April 13, 2011, 2012 and 2013. The Second Lien Term Loan was to mature on April 13, 2014. On March 2, 2009, the Company amended its First Lien Credit Agreements to replace its Minimum Consolidated Net Worth covenant with a Minimum Consolidated Tangible Net Worth covenant. The amended covenant excludes the Company’s intangible assets and interest rate swaps and any impact they may have on the Company’s balance sheet and statement of operations in the annual determination of Minimum Tangible Net Worth. The amendment is effective as of December 31, 2008. The Company was in compliance with all required financial covenants as of December 31, 2008. Even though I haven’t looked at the situation very closely, I believe that it is more than likely that RHIE will go through bankruptcy; but even if it doesn’t, that doesn’t mean that there’s any value left for equityholders. It’s curious that Baupost has stayed in the name, but I’m guessing that they are also in the debt or they can’t get out of the name and at this point indeed it’s a cheap option to them. Besides, they can be more activist and help the company resolve its problems, but outside of counting on that there isn’t much of an investment thesis in the stock. The debt that RHIE can have is based on a formula that utilizes the independent valuation of its movie portfolio. It has a $350mm senior first lien and $175mm second first lien ($525mm secured total), which has to be covered by 55% of the library valuation + 85% of contracted sales receivables. With receivables of ~$200mm, the library needs to receive a valuation of at least $650mm. It was valued at $700mm at the beginning of 2009 and since then revenues have obviously deteriorated because TV advertising is in secular decline and advertisers are cutting their budgets. Using the change in contracted revenues (down 27% from $275mm) as a very rough proxy for the trends in library valuation, we could argue that the library should be valued at around $470mm, which would cover only $430mm of debt, so RHIE would have a $95mm shortfall and would be in default of its covenant. Based on the above formula and a valuation of $470mm, RHIE would have to sell $210mm worth of library inventory and repay debt of equal amount in order to maintain its covenants. However, a transaction like that would be very difficult in this environment. The point is that, even if the company escapes bankruptcy, there may still be no value left for equityholders. I haven’t gone through al the details yet, but just wanted to give everybody a heads up before rushing into this one. I wanted to bring your attention to an interesting situation. Its a liquidation/merger that has nice upside of about 80% in the next year. The company is called Convera (CNVR) and it trades for 22c a share. They have recently entered into a merger agreement with a UK company called Firstlight. Basically, they are selling all their operating assets (except for cash) for stock in the new company. The merger should close by the end of this year. Upon closing of the merger, Convera will be liquidated with proceeds to its shareholders of about $0.40c. 3) another $2m 12 months after the closing PLUS 33% of the new company, estimated to be worth 14c per CNVR share. Convera also owns a number of patents related to online search, but I am leaving those out. Convera has registration rights for shares of the new company, so they will be listed probably on NASDAQ. There is limited info on the pro forma operations and I am using 14c as the discounted value from the proxy. The real value might be higher or lower, but the stock certainly has some value. Aspen Exploration (ASPN) declared a $.73 dividend yesterday, related to the sale of their assets to Venoco. Did anybody else notice this little gem included in the 8-K (but conveniently not in the press release)? Aspen expects that after the payment of the dividend, and its anticipated operations through the end of the current calendar year, on December 31, 2009 it will have more than $3 million of working capital remaining. Aspen currently intends to utilize its remaining funds to maintain its corporate status as a reporting issuer under the Securities Exchange Act of 1934 and to explore other business opportunities. Pending developments with respect to any business opportunities Aspen identifies, Aspen may later reevaluate its status and plans and consider alternatives to wind up its affairs. They apparently have no plans to liquidate, regardless of outcome of the upcoming shareholder vote. Feel free to move this over to the last Aspen post. I wasn’t sure anyone would notice it if I posted there. Zapata Corp (ZAP) has had no real business for the past few years. They have $150 million in cash and short term investments, $13.5 million in long-term assets. Only other balance sheet items are $5.2 million in liabilities. Worst case scenario puts there financial position at ~$155 million if you discount the long term assets a little. The company is currently trading at 6.67 per share, for a market cap of ~$126 million. 1. They are not burning money, so you are literally buying treasuries at about 80 cents on the dollar. 2. Harbinger Capital just purchased over 50% of the stock over the summer at $7.50 per share. So any investments they make with ZAP’s cash is potential upside optionality. Has anyone done an anlysis on Progen Pharmaceuticals? According to Google Finance, the company is selling for just over $10million, but it has net cash of $66,743,000. They appear to be extremely shareholder unfriendly– even suing some activist shareholders– but a margin of safety like that makes it seem pretty. . . well, safe. Moneycentral has their market cap at $119m. From what I see, Moneycentral lists PGLA’s market cap at $11.86 million. My fault. I accidentally pulled up PGNX. Progen seems to have burned through a huge amount of cash from 3.31.09 to 6.30.09. They have about $26.2m now. Thanks again for the link. That is a hell of a lot of cash to burn through, but it sounds like they are still at more than a 2:1 cash to price ratio. VNDA reported this morning. 20mm cash, expecting 200mm payment from Novartis for Fanapt within 30 days of closing, and possibly up to another 256mm in additional milestone payments. Also royalties in the low double digits on sales, and they retain rights outside the US and Canada. Vanda trading around 10. 20mm plus 200mm plus possible 256mm plus possible 75mm (at estimated 15% of 500mm sales) = 551mm/27.1mm shs = 20.23 per share. Maybe. Trading at a ridiculous price relative to liquidation value. Problem is we have greedy executives and directors that are funneling the money for their own benfit through insane salaries, director fees, and gifts of title exchange of company cars to the executive, especially when all of their compensation is related to the market cap. Truly a waste of shareholder capital. Stock would pop at least 5 fold if they announce liquidation tomorrow. It seems highly unlikely though, as the execs are enjoying their salaries/perks too much. I look at SPOR all the time and baulk because of the cash burn and the other things you’ve identified. There’s an old 13D filing on the register from Sem Advisors, but I’m not sure where that’s gone. I would love to see someone have a go at this management. Where can I find SPOR’s original 10-K filing? The SEC has a 15-12G filing on June 8th but moneycentral.com has their numbers through June 30th. Actions is one of China’s leading fabless semiconductor companies that provides comprehensive mixed-signal system-on-a-chip (SoC) and multimedia digital signal processing (DSP) solutions for portable consumer electronics. Kicker here is normalized FCF of roughly 40m with no negative years which equates to roughly 2.05 per share at 25% yield. Downside is management indication of desire to build headquarters for estimated 20m coupled with uncertainty inherent in a Chinese company. Catalyst is a share repurchase program under which they may repurchase up to 10.7m of roughly 77m ADS currently outstanding through December 31, 2010. Also noteworthy is Richard Fearon of Accretive Capital Partners comments re: use of cash during most recent conference call to which management seemed receptive. Greenbackd: read the interview, you run a great site and it was interesting to read your views. 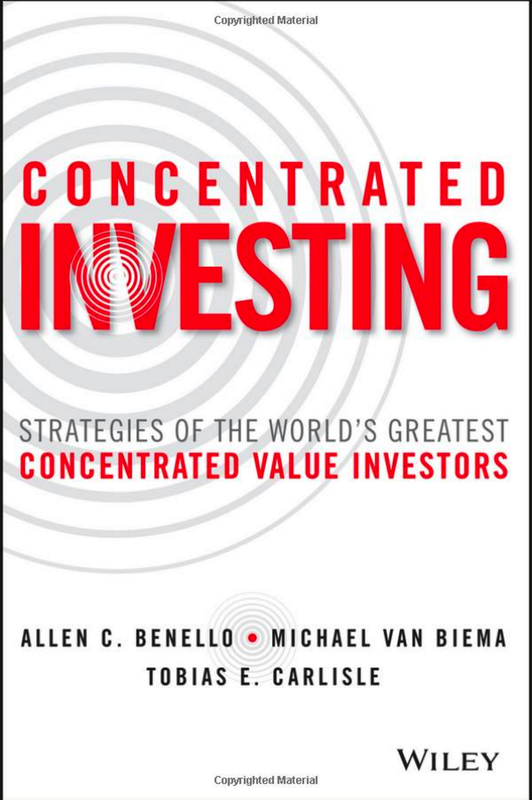 either of BA Value Investors or ROI Capital…. In connection with the Company’s Plan of Liquidation and Dissolution, the Company has completed the sale of substantially all of its assets for aggregate cash consideration of approximately $2.2 million. The Company does not expect to receive any additional material consideration for the few remaining assets left in its possession. Have you looked at IPAS. They made a 20 million distribution to their shareholders in August (about 0.32 per share) and plan on distributing another 20 million by the end of the year via a tender offer or a one time dividend distribution. Should have more cash on the books after the said transactions as well. While it’s only trading slightly below liquidation value, I think the stock is pretty attractive here. Chairman of the Board/CEO owns 46% of the stock. Market cap of ~$8m. The company has ~$15m in current assets (more than half of which is cash & marketable securities), ~$3m in liabilities, ~$2m in contractual commitments. Also, the company generates ~$1.5m in annual FCF. It’s basically a Graham 60% of NCAV stock with healthy FCF. Unfortunately, I don’t think there are any catalysts. However, I think the risk of a permanent loss of capital is basically zero here. TSRI is a tiny little IT staffing/consulting company (~$8.5m market cap) located in the north east. The company has approximately 80 clients, many of which are Fortune 1000 companies. Generally, the onshore IT staffing business is in a long-term decline due to a continuing shift to offshore these services to places like India. The industry is highly competitive with no barriers to entry. However, this (along with its small size and lack of liquidity) has created an opportunity for the patient value investor. While the industry has been in a long-term decline, the company has been able generate significant FCF during the past decade. While TSRI’s customers may offshore a significant portion of their staffing, they will always need a small number of onshore staffers to meet their local needs. The stock is extremely illiquid. It trades roughly $10,000 a day in stock and the float is roughly $4.4m. However, to the right portfolio, and a patient buyer, it could be an attractive addition. The industry is highly fragmented. MHH, a competitor, has recently stated that they’re seeking potential acquisitions to grow their business. TSRI looks like it might tuck in nicely. Also, offshore staffing companies always have a small percentage of their staffers onshore to meet client’s onshore needs. It might be easier to acquire a small onshore company, such as TSRI, to meet their needs rather than go through the hassle of obtaining H-1B visas. The founder, Chairman, and CEO owns 46% of the company, so one can have confidence that the company will act largely in the best interest of shareholders. For example, the company has returned a signifcant amount of cash to shareholders during the past year through a $1.2m share repurchase and $800k dividend. In the past, the company has paid $0.32/year in dividends. This was suspended after 2QFY09. Given my estimate of liquidation value and NCAV, I view the potential for loss as almost nonexistent. At current valuations, you’re buying cash/marketable securities and getting the FCF for essentially nothing. Thus, I’m valuing the company at 5x the 1.5m FCF plus the net cash/liquidation value of $8.5m. This is roughly $16m, 1x BV, or $4/share. There is a high likelihood that the company will be delisted from the NASDAQ in December. If that is the case, I view it as an opportunity to accumulate shares at what are likely to be attractive prices. Given the major holders (Vanguard, DFA, Renaissance), it looks like the amount of ownership that is indexed based is ~8-9% of the total shares outstanding or ~16-18% of the float. Given the lack of liquidity, one may have to wait for an acquisition, management led buyout, share repurchase, etc to realize a return. There is no reason for this company to remain public as it is. They don’t need the access to capital and could cut their expenses significantly if they merged or went private. I’ve gotten a lot of good ideas from this blog so thought I would share my thesis on NTII. Feel free to post this on the front page if you feel it is warranted. Neurobiological Technologies (NTII) is a biotechnology company that is in the process of liquidating. The stock trades at $.90 and I believe that in an absolute worst case scenario it is worth $0.95 (+5.5% return), a base case scenario of $1.02 (+13.3% return) and a best case of $1.29 (43% return). I won’t bore readers with the sordid details, but NTII’s sole drug Viprinex failed its Phase III trails in January. With over $18m in cash on the balance sheet, significant holdings in auction rate securities, and no source of revenue, major shareholders petitioned management to liquidate the company. At the end of August, NTII announced a plan of liquidation. The plan is as follows: Directly following the shareholder vote on the liquidation on Oct 27th (which is virtually assured to pass because major shareholders requested the liquidation), NTII will pay out $0.65 to $0.75 per share in a special dividend as well as repurchase all outstanding preferred stock for $247k. Following final liquidation, NTII expects to pay out a final liquidating dividend of between $0.10 and $0.41. $0.10 would only be paid out if the special dividend was $0.75 and $0.41 would only be paid out if the special dividend was $0.75 creating a range of potential payouts of $0.85 to $1.06. Given that range, the $0.90 cent current share price seems to be a fair, but conservative price. However, the there is an additional source of cash that is not included in the payouts estimated by management. In 2005, NTII sold the rights to a drug called Xerecept to Celtic Pharma Holdings for $33m. NTII retained the rights to royalties and a percentage of any sale of Xerecept by Celtic. In December, Celtic put out a press release stating that they had hired an investment bank to help them sell Xerecept and “look forward to achieving superior returns for our investors through the sale of this important program in 2009”. NTII will receive between 13% and 22% of the final sales price in lieu of giving up their rights to future royalties. The 13-22% range is based on a sliding scale (the higher the final sales prices, the higher NTII’s percentage). Celtic has hired Morgan Stanley to effect the sale of this drug. Given Celtic’s highly confident language regarding their potential return on investment and the high profile investment bank that was hired, it seems very likely that there will be a sale at a significant price. Assuming just a 10% annualized rate of return on Celtic’s investment, Xerecept could be worth $48mm in a sale. NTII’s share of these proceeds would be $6.2mm or $0.23 per share. This would make the range of payouts $1.08 (20% return) to $1.29 (43% return). So why didn’t NTII include any proceeds from Xerecept in their liquidation estimate? The reason is that it is a highly uncertain event. They have no control over Celtic and it is possible that the sale won’t occur prior to the liquidation of the company (in which case the rights to Xerecept would go into a liquidating trust). There is very little data for which to estimate any sales price so management and their lawyers decided to leave it out. For shareholders this became a free option and a potentially lucrative one at that. At this point you may find yourself asking how is it a free option if there is a 5 cent downside risk from current prices based on range of estimates management provided? I highly recommend that anyone interested in this investment, look at page 35 of the Schedule 14A. There you will find the basis for the estimation of liquidating dividends. For my estimates above, I assumed the LOW range of estimates for everything except the auction rate securities (ARS). As you know, ARS were previously highly liquid securities that investment banks pushed on many many companies in order to boost their cash returns. ARS interest rates previously reset every week or month and liquidity was provided by auctions. However, in Feb 2008 the ARS auctions started failing and anyone holding ARS were stuck with an illiquid instrument. NTII has par value of ARS of $7.5mm. Their low estimate anticipates that they sell the ARS for $3.5mm (46% of Par) and the high estimate is based on a sale at par. If you dig deep into the 2009 10K (3-31-09) you will see that NTII sold $2m worth of ARS for $1.68mm or 84% of Par. You’ll note that this sale occurred in Q1 when fear in the market was still quite palpable. Sentiment has certainly improved significantly since them which suggests prices have improved. I spoke with two brokers who informed me that ARS were selling in the low 80s now which matches the price NTII received in the first calendar quarter. Additionally, the company provides a list CUSIPs for their existing ARS (Page 30 of the 10K). If you type these CUSIPs into Bloomberg you will see that three of them have been very recently partially called by the issuer at 100% of Par. Even if they were only able to sell a portion of their holdings into these calls, their average recovery will be above expectations. With low estimates on everything, 80% of par sales of the ARS, and zero proceeds from Xerecept, NTII liquidation will be $0.95. I have tried to think of everything I can to get below this number and short of another financial meltdown and the bottom dropping out of ARS pricing, I can’t see the value being below this number. A 5% return in a few months with almost no risk is a nice investment on its own but the opportunity to participate in significant upside from any sale of Xerecept is what makes this idea very compelling. why do you assume a 10% return on Celtic’s investment? drug developments usually generate 10x returns or go to zero. biotechs dont invest $100 to get $110. in this case, given the lack of willingness to develop further, it seems like its going to zero. i think you are mistaken in your analysis of auction rate securities. given the illiquid nature of these things, the company sold what they could at first opportunity – the best securities they had – so its incorrect to assume that what they have left is worth 84%. In November 2005, we sold all of our worldwide rights and assets related to XERECEPT to two subsidiaries of Celtic Pharma. Under the terms of the sales agreement, if Celtic Pharma markets XERECEPT we are entitled to receive up to an additional $7.5 million in payments upon regulatory approvals in key areas of the world. In addition, if XERECEPT is approved we are entitled to receive profit-sharing payments of 22% on profit margins in the United States and royalty payments of 15-20% on sales elsewhere in the world. If Celtic Pharma sells or sublicenses its rights to XERECEPT to another entity, we are entitled to receive 13-22% of the net proceeds that are received by Celtic Pharma in lieu of the milestones and royalties that are payable in the event Celtic Pharma markets the drug. Just for your information, even in the Netherlands your blog is read. * they tried to merge with BioMarin, but ended up in court. just finished reading it. pretty amazing situation. there is no reason what so ever why the stock is at 23 cents. the company is going to liquidate and distribute 3-5 cents. they dont have any IP or other assets useful to anyone. interestingly, the proxy shows that management and all large shareholders have sols ALL their stock. the management still has some options – which presumably are worthless, but they sold every share they owned. so did BioMarin and the VCs. certainly looks like the stock is going down 80%+ unless God intervenes. on September 25, 2009 at 11:16 am Vince P.
Yeah this is a great opportunity for sure. Quick question, what broker do you guys use to short low priced stocks? Mine won’t let me short under $3, so it restricts short trades like this when I see them. At first glance it did look like a good opportunity but after taking a second look today and doing full DD, it is definitely not looking as great. Oh well, sorry for wasting your time. I’ll keep it on the radar just in case. Will post here if I find anything interesting regarding the lawsuit. I enjoy investigating, please don’t apologize! Only way we all learn. FYI. The company just released news of settlement in the court case. I haven’t looked at the 10-Q yet so don’t know if there’s still value after paying for the settlement. The Company also announced today that it has reached a settlement of all claims against the Company as well as its current and past officers relating to a lawsuit, “Provider Creditors Committee on behalf of Michigan Health Maintenance Organizations Plans, Inc. v. United American Health Care Corporation, et al.,” in the Wayne County Circuit Court in Detroit. As a result of a court order, all claims in this case have been dismissed with prejudice, and the Company will make a settlement payment of $3.3 million, of which $0.2 million is expected to be reimbursed by insurance. This settlement allows the Company to avoid significant legal expenses which could have been incurred during the trial and subsequent appeals process, and importantly, it limits the potential risk exposure associated with a trial. Take a look at UAHC. Currently selling for a +50% discount to liquidation value and has activist investors trying to elect members to the board. At first glance, this looks like a great opportunity. After a closer look though, I have some concerns that revolve around the Providers Creditors Committee lawsuit. They’re being sued for $62 million. I have no insight into the merits of the case and how likely they are to be found liable, but a judgment of even 10% of what’s asked for would wipe out the margin of safety at the current stock price. Many times I’ll read about lawsuits in company reports where nothing has happened for 4 or 5 years and the company reuses the same boilerplate summary of the lawsuit in every filing. Whether it’s right or wrong, I tend to ignore the potential liability in those cases. However, that’s not what’s happening here – the case seems to be progressing and moving towards some resolution. There was no statement about “significant” litigation expenses in any of their other filings over the past year. The thing to remember is that the latest balance sheet is almost six months old – it’s from the end of March. Management could have spent a large amount of shareholder money on lawyers’ fees in six months time. If you take away the lawsuit, then this is seemingly a slam dunk. But even a small chance of a 100% loss makes the risk/reward equation very ugly. Obviously STEP isn’t too worried about it, but it should be noted that the other activist investor has been selling over the past couple of weeks. Do you have any other information on the lawsuit and how likely they are to be held liable? Do you have any insight into the activism? What are they pushing for? This doesn’t seem like a good risk/reward. I was getting ready to post and saw that bellam already beat me to the punch. 1. They are facing a $62MM lawsuit. 2. Activist investor is now selling his stake, another Insider is also selling his stake. 3. Last time they tried to execute a strategic option (small stock buyback) there was an attempt made in court to put a restraining order on the company to prevent them from spending any money. The lawsuit makes it difficult for them to do much. 4. If you read the latest Q, I think they are leaning towards an acquisition. They can’t liquidate when they potentially owe someone $62 million. 5. Anon- there are some SEC filings that outline what the activists are looking for. Pretty standard stuff, they want board representation etc. I think this one is an easy pass. AHC: Do you own research, I entered the stock at 1.35. This is one is a combination of net net and ongoing business concern. Any which way you look at it’s a good buy. Pay attention to both Balance sheet, and Income statement. Also listen to the conference calls. Full Disclosure before I start: I own shares in this company. Leadis Technology currently has $28.663 million of cash, $2.522 million of trade receivables (85% of which comes from customer in Japan– Japanese businesses historically have been averse to litigation and should pay), $1 million in security deposit, a recievable of $3.556 (owed to them from the recent sale of a business line) and $3.687 million of total liabilities. Simple liquidation of the assets today (inclusive of $1 million in shut down related costs) would yield a stock price of $1.02 vs. a price today of $0.82. The story gets better though. After a series of disasterous acquisitions over the last 4 years and after significant pressure from activist hedge funds (Dialectic Capital is the largest shareholder) the company has been progressively selling off one piece of its business after another. Multiple hedge funds including Dialetic continue to hold management’s feet to the fire. Leadis currently has two significant business left to sell–an LED driver business unit and a less attractive display driver business unit. The company said on its most recent conference, July 28, 2009, that it has multiple term sheets out for the LED business and at that it expects final resolution (think sale of the business and the announcement of a liquidation) in AUGUST. The last business they sold off, a recently developed touch sensor business, sold for $6 million cash. I have been told by multiple friends in the industry that the LED business is as valuable if not more valuable than the touch business. Assume that LED business sells for just $6 million. I am assuming 0 value to the display driver business even though it generates $3-4 million dollars per quarter (it is a highly commeditized part of the market) . In a base case where they receive $6 million for the LED business in August and 0 dollars for the display driver business I calculate liquidation of $1.21 or a 47% return which potentially could happen very quickly (August/September). In what I would view as an unlikely but possible outcome the company could get nothing from the LED business, not recover any trade receivables, not recover the recievable owed to them for the sale of a business and announce liquidation plans this quarter and pass $0.82 cents ($28.663+1-3.687-1) dividends per share to shareholders. I see very limited downside even in a very unlikely bear case. After having stripped and sold off most of the businesses cash burn has been reduced to less than $1 million a quarter. Additionally, the Chief Executive of the company has promised in successive conference calls to maintain the cash balance over $30 million (he considers the $3.556 million from the sale of a business in his calcuation of cash) so I view any continuation of Leadis, as a going concern, as HIGHLY unlikely. I believe the most likely outcome is a sale in August of the LED business and a subsequent announcement of liquidation with the company having a liquidation value of $1.21/share. 47% upside with very limited downside in a short period of time. I like it. I can’t seem to find it, where has management indicated their intent to liquidate? They have never said explicitly that they intend to liquidate. However I strongly believe based on circumstantial evidence that will be the result in the near future. With this rebound in our legacy display driver business and continued execution in the LED driver business, we could have chose to use our cash to buy back a significant percentage of our outstanding shares and ride out the current storm. Since we have cash in excess of what is required to run the business, we also have the option to invest and expand what is now our core analogue business. Having said that, due to the overall costs of being a small public company, remaining a public entity, while viable, is not necessarily the optimal path. To a certain degree, the same statement can be made for privatization in the current economic environment. Based on the outcome of these discussions, the strategic direction of the company will be set. This is a first class analysis. Thanks, Shake&Bake. That just happened. how do you reconcile your quick liquidation in aug/sep with the fact that the $3.5m note from AsTEK is not due until Jan 2010? given that they financed 100% of the sale price, there is some risk to whether they actually collect the whole amount. but even assuming they do, it seems like the earliest they would liquidate would be in march 2010. You are 100% correct. Astek isn’t required to pay until January 2010 an it is certainly not certain that they will pay. So yes there is risk that they don’t get the 3.5 million from them at all or in part. On this quarters call the company commented they still believe they will collect 100% of it — for whatever that comment is worth. If they announce liquidation plans this month or soon I expect the stock to more closely reflect the underlying recovery/asset value of LDIS. I’d expect an initial dividend, say 70 cents, and a second dividend after January 2010. That’s the way I see it though I certainly could be wrong. Leadis just filed an 8-K. They sold their LED driver and legacy display driver business for $3.5 million. A payment of $2.6m is due at closing with the remainder in six months. nice call on this company! BOMSF (MS.TO) OR BIOMS MEDICAL EASY DOUBLE. THIS IS A REAL NET NET PLAYER OR NET CURRENT ASSET VALUE PLAYER BECAUSE MANAGEMENT IS CONSIDERING TO LIQUIDATE THE COMPANY, AMONG VARIOUS OPTIONS, BECAUSE THE CANADIAN BIO PHARMA CO. FAILED TWO TIMES PH3 DIRUCOTIDE (MAESTRO) AGAINST PROGRESSIVE MULTIPLE SCLEROSIS, LAST TWO WEEKS AGO. CO. HAS 67.5 CAN$ MILLIONS AS CASH, CASH EQUIVALENTS AND MARKETABLE SECURITIES, ONLY 10.5 ACCOUNTS PAYABLE, NO DEBT. ESTIMATED LIQUIDATION VALUE COULD BE ABOVE .5 $, A 50% PREMIUM TO ACTUAL PPS, OR MUCH MORE, DEPENDING THE $/CAN $ RATE, SEVERANCE AND LAY OFF AND LIQUIDATION VARIOUS EXPENSES, SALE OF PATENTS AND OTHER INTELLECTUAL PROPERTY. CO. MANAGEMENT SHOULD UNLIKELY DECIDE TO CONTINUE ITS TRIALS, WITH OR WITHOUT ELILLY, OR REACHING ANOTHER AGREEMENT WITH MAJOR PHARMA, BUT I DON’T THINK TO THIS SCENARIO. IN THIS CASE CO. SHOULD REMAIN UNDERVALUED, ITS CURRENT MARKET CAP IS LESS THAN 30 MILLIONS, 50% OF NET CASH POSITION ONLY. STOCK PLUNGED 90% TWO WEEKS AGO AFTER NEW DRUG TEST FAILURE. ACCORDING TO ME AT THESE PRICE DOWNSIDE RISK IS VERY VERY LOW, POTENTIAL UPSIDE AT LEAST 70%, BUT I CANNOT PREDICT IF IT’S BETTER A LIQUIDATION OR NEW PARTNERSHIP FOR CONTINUE CLINICAL TRIALS, BECAUSE IN EACH CASE CO. SEEMS VERY UNDERVALUED WITH A LOT OF POTENTIAL. A DECISION ABOUT LIQUIDATION AND CASH DIVIDEND DISTRIBUTION SHOULD BE DECIDED IN A FEW WEEKS, AS WELL AS THE DECISION TO CONTINUE NEWDESIGNED TRIALS, CASH ISN’T AN ISSUE! would be great if you could lay off the CAPs and be a little more succinct. I think Ocean Power (OPTT) is worth a look. It’s a busted IPO, similar to DRAD. The stock trades at $4.60, with a total market cap of $47m. The company has cash/treasuries of $82m, some current assets (receivables from US Navy, Iberdrola, Total) and an interesting business that could be worth something. I estimate the liquidate value to be $7.80 per share, giving no value to the business. I took a quick look at OPTT – they do trade at 50% of cash and treasuries. However, they are burning cash pretty quickly ($18m per year) and will most likely continue to use the cash to develop the technology. I’d imagine that as of now, management’s plan is to keep burning the cash until they either run out or they are successful. At the current price, you are basically getting 2 years of free R&D. Its risky because they may ramp up spending at any point and/or the market may continue to value this at 50% of cash due to the burn. I think its interesting and thats why I brought it up. Usually companies selling below cash have pretty bad, dying businesses, where the management refuses to see the reality and keeps plowing good money after bad. The situation with Ocean Power could not be more different – they are working on renewable energy and they must be doing something right to attract partners like US Navy and Iberdrola. I have no idea whether they will be successful, but I am willing to invest in what is essentially a public start up at 50% of cash on the balance sheet. Right, it is basically a VC investment at 1/2 of it’s cash value…. True, although mgmt has mentioned in recent presentations that they are focusing on reducing cash burn. Might be worth a call to the company. They appear like they might be open to answering questions. HAHA – This thing is ridiculous today…. according to me, reading last filings, it seems that aac will be at least liquidated for a buck, some uncertainty depends from the complexity of business (real estate, loans and mortgage, auction and merchandising liquidation, property development and condo sales). Cash burn is a worry. Any thoughts? Anti-takeover provisions under our charter documents and Delaware law could delay or prevent a change of control and could also limit the market price of our stock. • our board of directors is expressly authorized to make, alter or repeal our bylaws. I wonder how much shareholder value is lost in the US equity markets through this type of foolishness. >I wonder how much shareholder value is lost in the US equity markets through this type of foolishness. Forward Industries (NYSE : FORD) with a mkt cap of 12 million has 19 million in cash, 3.6 million in receivables and 1.85 in liabilities => net current assets of ~20 million. Cash burn around 2-3 million/yr mostly in SG&A. It would be great if you could look into it. I looked into FORD a couple of months ago, but dismissed them because they have an anti-takeover poison pill. I would guess that’s the reason no activists have jumped on board. The only major outside investor appears to be Trinad Capital, and according to their latest 13D they’re selling their position. It is really cheap though, so it’s still pretty tempting. I’d be interested to hear other opinions. We’ve looked at it before and baulked because Trinad was selling. We’ll take another look. BA Value files 13D, sends letter to management….. Check PPCO, Tang and the boys at it again…. Strange… Where is the value in liquidating PPCO? Assuming they must have some intangible assets actually worth something? Northstar has now sold its non-cash assets for $2 million. At that price, the sale won’t move the liquidation distributions much, but hopefully will shorten the timeline. Check out ELST, they just filed a recent 10-Q. Cash & Equivalents around 2 mil, even if you completely ignore Inventory and Accts Rec.. Total liabilities around 130k. No off-balance sheet liabilities either. I know, I know, market cap is 1.4 mil… but the spreads aren’t that terrible.. just bought some shares for 0.29. The only problem is a real lack of catalyst, but the valuation is too tempting for me right now, especially since they are aiming to cut some costs this year (including salaries for management) in order to return to profitability. Nice find with XTNT! Thank you!! A cool 670% in 2 weeks. Thanks, moe. We’ll dig through the filings. Advanta Corp. (NASDAQ:ADVNA, ADVNAB). What’s the play? See below. After all this is done, there will be a certain amount of money left. That is the play. There are still a few unknowns but it may become more interesting as things progress. SPRING HOUSE, Pa.–(BUSINESS WIRE)–Advanta Corp. (NASDAQ: ADVNB; ADVNA) today announced its Board of Directors has approved a plan designed to dramatically limit the Company’s credit loss exposure and maximize its capital and its liquidity measures. As a result of the deteriorating economic environment, the Company would expect the negative performance trends, if not abated with this plan, to result in losses that would erode its capital. Therefore, the Company envisions the following. * The Company’s securitization trust will go into early amortization based on May’s performance. Early amortization will officially be determined on June 10. * Since the securitizations will not be permitted to fund new receivables after June 10, the Company will shut down all credit card accounts to future use at that time. Neither Advanta Bank Corp. nor any other Advanta-related entity will fund activity on its balance sheet from the accounts. Therefore, the Company will not take any off-balance sheet receivables onto its balance sheet. Shutting down the accounts will not accelerate payments required from cardholders on existing balances. * In early amortization almost all of the receipts from cardholders are required to be paid to the securitization trust’s noteholders and to the Company’s seller’s interest (its on-balance sheet share of the receivables). The securitization trust’s notes are obligations of the trust and not of any Advanta entity. The Company is only at risk with respect to the off-balance sheet obligations to the extent of its residual interests. * Advanta Bank Corp. will use up to $1.4 billion to make a cash tender offer for Advanta Business Card Master Trust Class A senior notes at a price between 65% and 75% of their face value in a modified Dutch Auction. * Advanta Corp. will make a cash tender offer for any or all of the $100 million of 8.99% Capital Securities issued by Advanta Capital Trust I at 20% of their face value. * The Company will continue to service and collect the securitization trust’s credit card receivables and its own receivables. This, along with taking appropriate actions to adjust expenses to be consistent with these activities, will be the Company’s first priority. The Company will be free to do new business in the future to the extent it chooses, but it does not expect to do so in a significant way until implementation of the plan is well under way. * Advanta Corp.’s senior retail investment notes are unlimited obligations of Advanta Corp. and will remain outstanding and continue to be issued in the ordinary course. The benefits of the plan to the Company are designed to benefit the senior retail note program holders as well as the Company’s shareholders. The Company previously disclosed that it expected to use tools at its disposal to avoid early amortization of the securitization trust unless it concluded there was a better plan to maximize its capital and liquidity. The Company has now concluded that the plan outlined here is that better plan. Thanks, moe. We’ll keep an eye on it. can you please give a look to ARCW? Potax, we’ve played that game before. What has changed? Interesting call, Potax. We get a prima facie liquidation value of around $17.5M or $1.27 per share. It looks cheap at $0.70. We’ll dig through the filings. Thanks for drawing our attention to TIII potax. I picked up a small position at $0.70 shortly after reading your initial post. Apparently there’s an unsolicited offer for $1 per share…which seems obscenely low to me (isn’t there about $1 per share in cash and short term investments….totally discounting the inventory and pp&e which seem rather substantial). The company is producing FCF…actually pretty good FCF for a company with a $12 million market cap. It produced $1.2 million in FCF in the QUARTER ended 31 March 09. Finally, from the going private transactions I look at I would think that a private owner of TIII should be able to save $800,000 a year approximately as a private company since it won’t have Sarbanes-Oxley reporting requirements. Honestly, I’m thinking of adding a little more. If I had a chance to do more DD before the offer came in at $1 I probably would have built a much larger position at $0.70. Can i get e-mail updates? Yep. There’s a link on the front page. Looks undervalued at current prices. You might want to check out Gravity(GRVY;ADR), is a south korean company. Trading for less than net cash, has 2 activist investors that hold around 19-20% of stock combined. Business operations appear to be sound. Remember when checking out this company you have to convert their currency(Korean won) into dollars. Thanks, CD. At first blush, that’s an absolute blockbuster. We’ll have a close look. We’ll keep an eye on it, but it doesn’t look like its the focus of a campaign. but if the netnet value is $34.4M it should be $1.23/share , not 4.95!!! Which stock screener do you use to find bargains? …it’s a secret! Buy DVAX and hold it tight…talks later. No secret. The Graham NCAV screen on our links is a good starting point. The rest is just reading filings: lots of 13Ds and 10Qs/10Ks. DEAR STAFF, WHAT DO YOU THINK ABOUT DVAX (DYNAVAX)? I BELIEVE IT’S AN ABSOLUTE CHEAP BARGAIN: THE COMPANY HAS STRONG PARTNERSHIPS WITH SOME MAJOR PHARMAS AS GLAXO AND NOVARTIS, A PHASE 3 IN CLINICAL HOLD (IT SEEMS MAY BE REMOVED BY FDA SHORTLY BECAUSE DVAX WILL SUBMIT OTHER DATA) 50 MILLIONS CASH AT THE END OF 2009 (EXCLUDING OTHER POTENTIAL MILESTONES AND FUNDS AVAILABLE DUE TO NEW PARTNERSHIPS) BUT MARKET CAPITALIZATION IS ONLY 26 MILLIONS $. DVAX PPS IS 0.7, CASH PER SHARE AT THE END OF 2009 WILL BE IN THE WORST SCENARIO 1.25 $, O/S IS JUST 40 MILLIONS, AN ACTIVIST FUND AS BVF OWNS 22% OF IT! BVF IS FORCING NTII AND AVGN TO LIQUIDATION OR SALE TO DISTRIBUTE CASH DIVIDEND STO SHAREHOLDERS. THE TOTAL AMOUNT IN POTENTIAL EARNINGS DUE TO MILESTONES PAYMENTS AND ROYALTIES AVAILABLE IF DVAX RESEARCH PROGRAM IS SUCCESSFUL IS WORTH 1 BILLION. With RACK spending $25M on SGIC, does that change your thesis somewhat? PARL is at $.80, could warrant another look from you guys. Thanks shp, We’ve updated our view on RACK. See tonight’s post. PARL looks cheap but there’s no obvious catalyst. SWIR’s is not cheap enough for us. Axcelis Technologies has said it has completed the sale of its 50% ownership in SEN Corp to Sumitomo Heavy Industries, Ltd. (SHI). Net proceeds from the sale were approximately US$122.3 million, resulting in approximately US$10 million in expenses related to the deal. SHI paid approximately US$132.6 million. As expected, Axcelis has used US$86.4 million of the proceeds to repay Convertible Senior Subordinated Notes that were due in January but the company had failed to secure alternative finance last year to pay the notes. Litigation related to the Notes was said to have been dropped now that payment has been received. Cash returning to Axcelis is approximately US$35.9 million. Good pick up. Thanks, Manny. A related security is CDCO. Another that appears somewhat intriguing is ACTS…..this is a chinese stock that appears to be trading below liquidation value, it’s buying back shares, and remains (somewhat) profitable. CDCORs closed yesterday at $0.092. The holders of CDCORs are entitled to 37% of the distributions to C-4 creditors. According to the 10Q, a reasonable estimate of future net distributions is not determinable, but the CDCOR liability carried in CDCO’s books is $22M (which equates to about $0.15 per CDCOR). CDCORs are therefore trading at about two-thirds of the distribution, which means the upside is around 50%. 1. They are very thinly traded (2022 through yesterday, which is about $200). 2. How certain is the distribution? That’s my general understanding of the situation here. However, a couple things….. The total payout cannot be determined with certainty because there are some illiquid investments in private companies that the company is trying to liquidate. The $22 million represents CDCO’s estimate of the CDR liability leaving out the possibility of proceeds from the sale of equity. The company is also still involved in litigation with some of its former debtors so that could result in some extra money for CDR holders. If the share price is 0.09 and liquidation value is 0.15 then your upside is 66% (and in reality there are a few more assets that could be added to this figure.) Still I had figured “conservative” liquidation at 0.13 so I still count on about 50% upside. Finally, the company DOES have to liquidate…it’s required by bankruptcy decree. At this point all of the claims prior to the C4 creditors HAVE been paid in full, and at this point CDCOR is entitled to 37% of future distributions. 1. This is very illiquid…but fortunately it’s in a tight trading range. You can pretty easily build a position between 0.09 and 0.10 (I haven’t seen it trade below 0.087 or above 0.10 for a while.) I guess the illiquidity is a bad thing, but I feel that this is the reason we’re able to buy a safe liquidation at a nice discount. 2. I think the payout on this is as sure as any of these situations can be. The catalyst is iron clad… i.e. a bankruptcy court order. The balance sheet is pretty much entirely cash (with a few illiquid equity/warrant kickers). It also appears that pretty much all litigation is winding down, as the company has won outstanding litigation at appeal, etc. I’m not saying “nothing” could happen to derail the distribution here, but right now I can’t think of what it would be. It’s a very interesting situation. We just need to get a better understanding of the likelihood of the distribution to the CDCOR holders. Allowed Claims for Class C-5A received contingent distribution rights (“CDRs”) that entitle holders to share at increasing percentages in the proceeds realized from the monetization of the Company’s assets based upon the present value of distributions made to the C-4 creditors in the bankruptcy estate of Comdisco, Inc.
Information on the CDRs can be found in a Registration Statement on Form 8-A filed by the Company on August 12, 2002 with the SEC and in the section entitled “Contingent Distribution Rights” in Item 7, Management’s Discussion and Analysis of Financial Condition and Results of Operations. As the present value of distributions to certain C-4 creditors have reached the 100% threshold level of percentage recovery established pursuant to the Plan, holders of CDRs are entitled to receive payments from the Company equal to 37% of each dollar available to be distributed to Comdisco stakeholders in accordance with the Plan. All payments by the Company in respect of CDRs are made from the Company’s available cash-on-hand and not from funds distributed by the Litigation Trust. The Company expects to maintain cash reserves sufficient to make any required payments pursuant to its CDR liability arising from either the Company’s equity or net distributions from the Litigation Trust. Any actual net distributions by the Litigation Trust to the C-4 creditors will increase the Company’s liability to CDR holders. I’m not going to post anymore…but it looks pretty solid to me. I think those quotes should largely answer your questions though….the balance sheet is strong…liquidation is mandatory…the CDRs are already at the 100% threshold @ 37% of future distributions. There’s possible upside if the litigation trust collects judgments against CDCO’s debtors….but I’m not counting on it for my investment. Thanks for this effort, Jonathan. We’ll work through it. Thanks, JM. That’s a great tip. We’ll have a close look. JM, are these Preferreds publicly traded? I could not find them so I imagine that is the reasson they have not liquidated. PlanMaestro: ALSC is in liquidation so no need for catalyst. They have dividened out everything but the 60mm ARS which haven’t been liquidated because the auctions keep failing. ARS still paying interest which is passed through to stockholders. ARS held are Dutch Harbor and Anchorage Finance. Sterling Capital is suggested to Axcelis Technologies that they sell off valuable assets and complete a share buyback in order to maximize shareholder value. ACLS has done part of that. do you think they will fallow thru with a share buyback? if so what will be the out come if they buyback about $1 million worth of stock? $1M is not enough. The company’s balance sheet will be in a much healthier position following the sale. We’re still hanging on. HLYS looks cheap. What’s the catalyst? MTSN is very interesting. It’s cheap on a cash basis, and it has some big institutional ownership, but none activist. You’re right about it needing an interested investor. We’ll keep our eye on it. You should also look at OPWV. Nearly, $100 million or so in net cash. Company is now operating profitably (non-GAAP of course) and has over $200 million in sales. OPWV was one of the key .com stock highflyers that collapsed, but ultimately years later the company has survived and its software is critical to many telecom’s companies mobile operations. Thanks, eg. We get a negative value for OPVW in liquidation. Chairman and CEO, Director of SanminaSCI Corp. Jure Sola bought 575,000 shares on 01/26/2009 at an average price of $0.33. Sanmina-Sci Corporation provides electronic manufacturing services including turnkey electronic assembly and manufacturing management services. It has a market cap of $195.06 million; its shares were traded at around $0.33 with a P/E ratio of 3.4 and P/S ratio of 0.03. SanminaSCI Corp. had an annual average earning growth of 0.5% over the past 5 years. Sanmina-Sci recently reported its fourth quarter 2008 and year end 2008 results. The company said that its Revenue was $1.7 Billion, Non-GAAP Operating Margin was 3.5 Percent, which was up 220 Basis Points Year-over-Year, its Diluted Earnings Per Share were 5 cents, and that the company broke-even onGAAP Earnings Per Share. Joel Greenblatt bought 285,050 shares in the quarter that ended on 09/30/2008, which is 0.63% of the $63 million portfolio of Gotham Capital. Jean-Marie Eveillard owns 150,000 shares as of 09/30/2008, which accounts for less than 0.01% of the $9.67 billion portfolio of Arnhold & S. Bleichroeder Advisers, LLC. Charles Brandes owns 25,049,058 shares as of 09/30/2008, which accounts for 0.13% of the $27.58 billion portfolio of Brandes Investment. Those are smart guys, much smarter than we are. It looks like it could have no value in liquidation though. Not one for us. With a market capitalization of $3.8M it’s microscopic (although we’ve picked up smaller before, to our chagrin). We get a net cash value of around $4.8M or $0.37 per share and a liquidation value of $5.8M or $0.45. It looks cheap on a cursory inspection, but you want to do a lot of work. Be careful of brokerage and spreads in these micro OTC stocks. Good call, manny. It has been added to the Portfolio. Vanda’s stock is trading at 80 cents, well below the $1.74 a share in cash it had as of Dec. 31. Thanks manny. VNDA is a good one. We’re working on a post for tomorrow. This site has inspired me to start my own blog, and VNDA was the very first company I wrote about last week. What’s interesting about VNDA is that Kevin Tang wants shareholders to approve liquidation a week before hearing from the FDA. So even if FDA approves, chances are it won’t matter. Thanks John. We’ve got a post about it coming out tonight. CAMD, California Micro Devices. 47.8mm cash / 23.1mm shs = $2.07 a share cash. Stock 1.85. Dialectic Capital nominating 4 directors, pushing for $1.42 per share div and to begin process for sale of co.
We really like CAMD and we’ve been tracking it for a while. It’s fractionally too expensive for us at the moment – we’re waiting for around $1.40. DRAD, Digirad, nuclear imaging cardio. Stock at .88. 28.3mm cash/ 18.9mm shs = 1.50 a share cash, no debt, receivables 9.3mm vs payables of 2.2mm. New $2mm share buyback announced, ngaap .03 earnings quarter ending 12/31. Catalysts: new CEO and CFO focused on cash, sold and selling hubs for (undisclosed) cash so hard assets have real $ value. Looks to be possibly preparing company for sale. Thanks, JM. See tonight’s post. DRAD positive mention in Barrons…..
Bradford Evans, co-manager of Heartland Value Fund (HRTVX), cites Digirad (DRAD), which specializes in cardiovascular- and nuclear-imaging systems. It projects ’09 sales of $80 million, and has $28 million in cash and equivalents and a book value of $2.47. Yet its market cap is $18 million and its shares are just 95 cents. In 2008, the stock traded down from its peak of $3.50 in early February, to a bottom of 48 cents on Dec. 4. Evans, who owns Digirad stock, believes it is poised for a turnaround this year, thanks to a strong balance sheet, good technology, significant partnerships with leading medical schools and a restructuring plan that will better manage growth while controlling costs. Latest on EPL By the way have you gotten a response from your guy in houston? NEW ORLEANS (AP) – Independent petroleum producer Energy Partners Ltd., which has seen its stock price plunge amid a major investor’s call for a shake-up, said Wednesday that its chief financial officer has left the company. A message was left with EPL for comment. Leary could not be reached for comment. Energy Partners, which focuses its drilling and producing in the Gulf of Mexico and onshore in southern Louisiana, has seen its stock slide precipitously over the past few months. From a 52-week high of $16.50 recorded during booming oil prices, EPL shares were trading Wednesday at 30 cents per share. The company has not yet reported fourth-quarter earnings. But for the third quarter, the company earned $34.4 million, or $1.07 per share, on revenue of $94.7 million. That included a one-time unrealized gain of 48 cents per share. But other independent producers already have reported fourth-quarter reversals of fortune as oil prices sagged and companies were forced to write down the value of their reserves. In late January, Wexford Capital LLC, based in Greenwich, Conn., sent a letter to the company demanding the firing of all top management, a sharp reduction in costs, debt restructuring and a smaller board. Wexford, a major stakeholder in EPL, both in common stock and senior notes, said EPL’s administrative and overhead costs were out of proportion to the company’s size, its exploration activities and efforts to replace reserves “have been a dismal failure” and the company is carrying too much debt. or materials that people could do without even with a 50% discount. OIL is still needed, wanted and at a discount attractive! Wesco (WSC), the financial company 80% owned by Berkshire Hathaway and being run by Charlie Munger, is trading at 226/share. This is below the company’s net cash of 361/share. There is no catalyst, but I thought it was interesting play due to its connection with Buffett and Berkshire. The company posted a growth in tangible assets in 2008 despite berkshire’s 9% drop in book value and despite the turbulence in the credit markets. ef, we think WSC looks dirt cheap. It’s a very interesting stock but it’s not one that we would cover. Take a look at CCUR. Net Cash: $27 million. Market Cap: $25 million. Company is actually profitable now and revenue is growing. So the business itself has potential. We get a prima facie net cash value of around $4.5M and a liquidation value of around $17.1M or $2.06 per share. CCUR needs to drop by 50% before we would consider it cheap. How do you get net cash value of $4.5 million? They have $27 million in net cash and are profitable. What service do you use to look at financials. May I suggest just going to http://www.sec.gov and looking at the latest 10Q. 12/31/08, 19.1mm cash/ 23.3mm shares = .82 per share, no debt, stock at .40. Novel coronary stents. Has hired Piper Jaffray to explore strategic alternatives, will lay off 112 of 121 employees by March 23rd if no deal struck, so burn rate will become minimal until some deal is done, i.e. sale of technology, sale of company, merger etc. XTNT looks really interesting. We’ll have a closer look. This was a really good call, JM. Shame we missed it. XTNT has in fact laid off all but a half dozen employees. They just received CE Mark approval for their custom NX DES stent, which I understand is equivalent to FDA approval here. I’m estimating a burn of 5mm for quarter ending 3/31 (last 3 quarters burn were 12mm, 8.9mm and 6.5mm, so burn’s been declining), which includes XTNT’s estimate of 1.1mm expenditure due to layoffs. This would leave them with 14mm cash, or .60 a share with the stock now at .70. Essentially the last employees are there to follow through on whatever strategic initiatives Piper Jaffray comes up with. Are all their stent patents, especially the novel NX DES which can immediatley be marketed in Europe and all countries that recognize CE Mark worth but a dime a share? We’ll take another look at it. Also vvtv, they just restructued their debt with GE ,that is why no one could take them over, now that its out of the way, its clear sailing for atleast a double on the name..
got to be 4x liquidation value vs mkt cap, sure they have a plan to build coal mines, but 30% of the stock is owned by insiders and they or someone will figure a way to cancel those contracts…this one is a sleeper…. We agree it’s cheap, the problem is there’s no catalyst. Have you taken a look at ELOS? After a quick look, we think it could be worth around $6.95. It’s too expensive for us at $5.10 but it get’s interesting if it drops another $0.50. FACT or Facet Biotech is a recent spinoff which was supposed to have been funded with ~$400M in cash from the parent. The market cap is approximately ~$130M now after determining the implied stock outstanding (5 shares for every PLDI or PDLI?) out standing which equated to about 20M. Their projected cash burn rate is $100-$115M this year which would leave them with approximately #300M at year-end 2009. I own it. Not sure about the accrued liabilities. I own a small position too. Went from 14 to less than 7 with funds liquidating positions after the spinoff. CAPS is trading at $24M market cap but holds $46M in cash. Current assets are almost entirely cash . Biotechnology Value Fund L.P. has been accumulating shares and now owns nearly 13% of the company. Thanks, ef. Very interesting. We’ll have a close look at it. Thanks, manny. TSCM is interesting. We get a slightly lower figure, around $2.30. We’ll keep our eye on it. Axcelis Technologies in Agreement to Sell Its Interest in Joint Venture SEN Corporation to Sumitomo Heavy Industries for approximately $133 million. do you still see $7 in liquidation? manny, the short answer is no. We’ve got an updated analysis coming out tonight. so you see more around $10 a share? That’s a negative value. As in, no surplus after all liabilities are paid out. We’ve asked a compadre in Houston to weigh in on this one. Give us a few days. We get around $0.68 per share in liquidation value for MMCE, which means it’s too expensive for us. Could be an interesting merger arbitrage, but that’s beyond our scope. FNET is interesting. Back of the envelope, we get a slightly higher liquidation value than you, ~$2.09 per share. It’s worth a look below $1.40. The numbers look very good at first glance, but the last two press releases are both red flags that would warrant further investigation, but likely make this a pass for me. 2) Their largest customer (40% of Revenue) is owned by a TX company that has been indicted in TX and shut down. We’ve had a brief look and we get a slightly lower liquidation value, ~$5.30 per share. Even on your estimate of $7.33, there’s only upside of 7%. We’d ideally like more than 50% upside. Any thoughts on Sketchers – SKX? Am also looking at Fortunet (FNET). They were going to be bought by a company controlled by Stanford and now speculators and hedge funds are dumping their positions. They got 9M from the deposit in the scrow account not included in recent 10Q, there were other suitors with bids above $2 (current price below 0.8), and the library is valuable. EMAG is interesting, but too expensive for us. Even including the $9M in the escrow account, we only get a liquidation value of around $10M or $0.47 per share. That said, we’ve seen a lot of interest in EMAG, so there could be something to it beyond our ability to assess it. I bought EMAG this morning after doing some work over the weekend on it and was handsomely rewarded…$1.82 per share offer. Thanks PlanMaestro for bringing this to my attention! Whoa. Monster spike in EMAG. Good work. Three net cash that I have, that I would like your opinion. All three of them have some legal issues, but I considered them cheap enough. WCG has huge liabilities that cancel out the cash position, so it could be worth nothing. QLTI is interesting. We think it’s worth around $1.70 in liquidation, so it’s a little too expensive for us right now. GSIG is very interesting. Based on its last 10Q it could be worth around $5.00 in liquidation. The problem is that it has a delinquent 10Q. When it updates its filings we’ll revisit it. MESA looks pretty ugly to us. It’s got more than $20 per share in debt and huge liabilities. Airline stocks are notorious for destroying stockholder value. PRTS is too expensive for us. It gets interesting under $0.70. looks like a good undervalued buy. CLP is not an obvious one for us. It’s carrying around $30 per share in debt, and we think it could have a negative value in liquidation. My numbers are from the most recent 10-Q filing. Are you not deducting treasury shares from shares outstanding? Upon further reading, as of 12/31/2008 PARL had repurchased approx. 355,000 shares of the 1,000,000 authorized in November which leaves 645,000 to be repurchased. Assuming average volume of 75,000 shares trade per day, this buyback would take almost 9 days to fill. However, I believe it’s likely they’ve repurchased a fair amount of shares in January. Also, during January 2009, PARL collected $6M in A/R from PERF alone. Effect is to increase cash by $6M, decrease A/R by $6M. However, the balance of the A/R from PERF (approx. $12M) is riskier than the other A/R because PERF has breached its loan covenants, so I would apply higher discount factor. I’m getting more comfortable with this stock. – Stock buyback announced of 1M shares (5%) in Nov 2008. Are you using the most recent numbers? Our back-of-the-envelope estimate for the liquidation value (using similar discounts to you) is around $34.3M or $1.66 per share. At $1.35, it’s not cheap enough for us. If it get’s down around $1.10, we might revisit it. HL doesn’t strike us as undervalued on a liquidation basis. It’s worth maybe $0.50 in liquidation. Thanks manny. XTNT is interesting. At its $0.36 close Friday, the company has a market capitalization of $8.4M. Based on its September 10Q, we’d estimate the liquidation value to be more than 80% higher at $23.6M or $1.01 per share. The announcement of the “plans to engage an investment bank to pursue strategic alternatives which may include the sale of some or all of the company’s assets or other types of merger or acquisition transactions” is positive. The problem is the company’s cash burn rate in the period since the last 10Q – we’re not sure how much the company still has in the tank. We’ll keep an eye out for the next 10Q and, if the company still has some value, we’ll write it up. acls miss note, now what? We have no news other than the news in the filing. We knew that ACLS had a large note due, and that it would struggle to meet it. We think that ACLS has more value than the market price would suggest. FTAR has been in liquidation mode since May 2008. How much value does FTAR.OB still hold after a recent $1 cash distribution? AJ, it’s a little too complex for us to calculate here. We’d want to wait for the next 10Q before making a judgement. The current 10Q summarizes the Kmart Agreement and Master Agreement Amendment and Intellectual Property Purchase Agreement pursuant to Kmart purchases FTAR’s inventory. The Master Agreement Amendment provides, among other things, that Kmart will purchase the inventory in FTAR’s Kmart footwear departments (excluding inventory that is damaged or unsaleable) at book value, plus $1.35 million, less $0.95 million and less a shrink adjustment of $0.2 million. FTAR exercised its option to have Kmart also purchase its seasonal inventory, as defined, at 40% of book value, less $1 million. Under the terms of the IP Purchase Agreement, FTAR sold to Sears Brands substantially all of FTAR’s intellectual property, including the intellectual property related to FTAR’s Kmart business, for a purchase price of approximately $13.0 million. Kmart collects proceeds from the sale of FTAR’s inventory and remits those sales proceeds to FTAR on a weekly basis less applicable fees. The Kmart Agreement provides that FTAR pays Kmart 14.625% of the gross sales of the footwear departments and a miscellaneous expense fee of $23,500 each year per open store. Such fees were $27.0 million for the three months ended September 27, 2008. As of September 27, 2008, FTAR had outstanding accounts receivable due from Kmart of $6.8 million, which were subsequently collected in October 2008. Have you looked at IBIS.PK to see what it’s worth. They announced their intention to liquidate this morning. Gee, AJ, IBIS is a little one. The market cap is about $660K at its $0.046 close yesterday. Our back-of-the-envelope calculation for the liquidating value is about $4M, which is about $0.28 per share. There’s plenty of fat. The problem will be getting enough stock to make it worthwhile. Its average volume (according to Google Finance) is 21,000 shares per day, which, at the $0.046 close, is about $970. Its volume yesterday was 139,366 shares, which, at the $0.046 close, is about $6,400. If you assume you’ll only get a small portion of the volume, and your broker charges a premium for OTC (ours does) we think you’ll struggle to get any value. We don’t think you’ll lose money on the security, but the brokerage could be a factor. IBIS paid out $0.07 on March 6 (http://www.tradingmarkets.com/.site/news/Stock%20News/2212179/). Seems to be more to come. Did you pick any up? IDT looks like it has a negative value in liquidation. LGBT looks like another with questionable value in liquidation. Looks like it has agreed to merge. SIRF looks like good value but it lacks a catalyst. ZILA could be another company with no value in liquidation. the latest news on vvtv. your toughts? *Notes: Full Year sales are expected 34% smaller for Visudyne, however, still positive. *Notes: There is pending litigation that QLTI would be expected to pay $113,200,000. QLTI is a biopharmaceutical company. R&D involved in development of pharmaceutical products in the fields of ophthalmology and dermatology. QLTI is great value if the $113M payment pursuant to the litigation can be avoided. As soon we start handicapping that payment, however, we run into trouble. We think you have to assume that it’s going to be made, and then QLTI’s value proposition is gone. Are we missing something? Some more info on QLTI which I discussed with 52WallStreet. Excellent blog that had also been searching for net cash opportunities. Check the comments in hte post, in the last quarter reported this morning they started to consolidate Eligard’s revenues and hired Goldman for strategic options. And important insider buying the last 2 weeks with prices between 1.9 and 1.7. Disclosure: I have no position in this. Good call, ARChris. It’s certainly on our watchlist. We look longingly at TIII’s filings on a regular basis, hoping that someone will show up with a 13D. Just like we do with TRID and a few others. Possibly it’s too small for an activist campaign (although we’ve seen and covered smaller companies). It’s too expensive. Net cash is around $490M against a market cap of $550M. Liquidating value is around $660M or $4.32, which is only 20% higher than the $3.60 stock price. It starts getting interesting if the stock price gets under about $2.90. is there any value in the circuit city liquidation. why or why not. i see they have quite a bit of cash and a lot of assets in inventory. We had a look at CC when it went into liquidation. We estimated a negative liquidating value. NSTR is interesting but the upside is no more than 30%, and probably lower once expenses are taken into account. Typically we look for a 50%+ upside. It might be worth reviewing for a case study. $3 looks too high to us for ITP. We’re struggling to get this one into positive territory. Comments moved from “Contact us” page. have you guys looked at FTWR? FTWR has a lot of debt ($426M) against tangible assets carried at ~$440M. If we just apply a discount of say 50% to the $290M in PP&E (usually we’d discount back everything except cash), the assets aren’t enough to pay out even the creditors and the investment is underwater. We’d pass on this one. On December 29 and 30, 2008, Globalstar, Inc. entered into agreements (the “Agreements”) to issue an aggregate of 4,734,858 shares of its common stock, par value $0.0001 per share (the “Common Stock) and to pay an aggregate of approximately $0.6 million in cash in exchange for $28,492,000 principal amount of its 5.75% Senior Convertible Notes due 2028 (the “Notes”), beneficially owned by institutional holders of the Notes. Globalstar did not receive any cash proceeds as a result of the exchange of its Common Stock for the Notes, which will be retired and cancelled. Globalstar entered into the Agreements to reduce its debt and interest costs (by approximately $31 million), increase its equity and improve its balance sheet and liquidity. gsat is trading aroun .40 that’s %50 bellow it’s liquidation value. EPEX and GSAT have the same problem – there’s no obvious catalyst. You can spend a long time in these stocks waiting for something to happen if there’s no shareholder trying to influence management. that’s a CEO with a lot of power. could he become a catalyst? anyways, i thought this info would help. you guys have helped me and a many others in this crazy market. “Thermo Funding acquired the shares of Common Stock in December 2008 for the purpose of increasing the equity position of the Reporting Persons, which had been reduced due to equity and convertible debt issuances by the Company since April 15, 2008. The Reporting Persons considered the Common Stock to be an attractive investment at the price levels at which they acquired the shares of Common Stock. The Reporting Persons may acquire additional shares of Common Stock in the future. From the Company’s initial public offering in November 2006 until April 15, 2008, the Reporting Persons owned over 50% of the Company’s Common Stock. Since April 15, 2008, the Reporting Persons have continued to own over 40% of the Common Stock and, as a group, have remained the largest stockholder of the Company. In addition, Mr. Monroe has served as the Company’s Chairman since April 2004 and Chief Executive Officer since January 2005. On November 14, 2008, Mr. Monroe was granted options to purchase 200,000 shares of Common Stock at $0.38 a share as compensation for his board service. All members of the Board of Directors received an identical option grant. Except for the acquisitions by Mr. Monroe’s trust described in Item 3, the grant of stock options described in this Item 4 and in the acquisitions by Thermo Funding described in Item 5, ownership by the Reporting Persons of the Shares of Common Stock were reported on Schedule 13G and beneficially owned by the Reporting Persons prior to the Company’s initial public offering.